Our Carnival Experience package is a popular option for you and your friends to have a fabulous day out at London Notting Hill Carnival. Arriving in style via luxury coach travel you will be transported to Ladbroke Grove where you join your live music float for the famous procession on Carnival Monday. 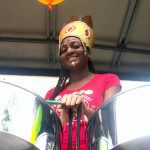 Instead of being part of the crowd you will part of the spectacle either as a costume masquerader, musician, percussionist or volunteer helper. Your goodie bag will help to sustain you with snacks, drinks and useful gifts. And with a support vehicle in tow your tired feet can rest while you fill up on uuthentic Caribbean food and drinks provided, ensuring you are refreshed and ready to entertain the many thousands of carnival spectators. More details on our bespoke packages coming soon. In the meantime see below to explore more. Please note this experience is for over 18s only. 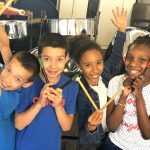 For Summer 2018 explore your creativity and experience the authentic traditions of Carnival influenced by the cultures of The Caribbean, Brazil and Africa. 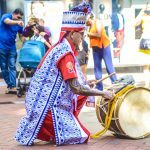 An annual celebration of diversity with live stage performances and a walking street parade of percussion, costumes, flags, parasols and dance.